I’m tired of political partisanship and really sick and tired of the way the nasty game called politics has taken over our discourse today. Military deployed and foreign service workers are facing real-life terror and we talk, at home, about how those situations will impact the presidential election! Worse still, it’s infecting our communities. If it’s buzzing in St. Mary’s County (population: 100,000+), it’s making it to the grassroots. And, these days, the roots are pretty toxic. That’s why I’m putting together an autumn adult formation series having to do with faith and public life. I’m still lining up the details and inviting local elected officials and I don’t yet have a compelling title, but that’s not the most pressing thing. It’s the focus that matters. Some Vestry leaders helped me think about this the other day. Initial reactions ranged from fear (“You’re going to invite them?”) to doubt (“You’re going to ask an elected official to not talk about himself?”) to half-hearted blessing (“Good luck!”) Over the course of our conversation, however, they helped reaffirm my motivation. For Christians, it’s not about the what. It’s about the why. Plain and simple: it’s not about the election. It’s about the outcome. Whether we come out of this election with any chance at healing depends on the depth of conversation we have now — whether we learn to give thanks to God for the blessings of this nation and, yes, the unique blessings of a cacophonous democracy; whether we also learn to love those who think differently than we do. The church, the Body of Christ, has a very profound stake in that. In fact, the faith-based community might be the only community today who has any stake in moving people beyond partisanship to places of genuine healing. Each session will be a conversation with a local public figure — an elected official or, in some cases, persons seeking election. We’ll form community in ways only the Body of Christ can: mingle together, pray together, speak and listen openly, and ask God’s blessing on our nation and one another. The series will conclude with an Election Day Thanksgiving Service, held on the evening of Tuesday, Nov. 6 in which we gather for worship and song and praise. We’ll thank God for this country, thank God for the blessings of democracy, thank God for those persons who will be elected by the people, and thank God for those persons who stood faithfully for election and did not receive the majority. In so doing, what if we noticed that public policy is actually a worthwhile discourse, but politics helps no one? What if people of faith entered the fray, not to win one side of an argument, but to “chill out” and sanctify the conversation by our presence and prayerfulness, to proclaim our faith in God’s Kingdom, and to affirm that there are lots of folks, like us, who care more about the healing of our communities and the common good than about winning points or polls? 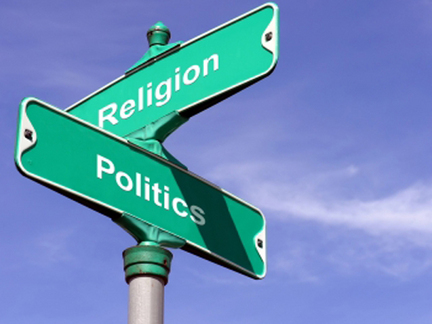 A Vestry member said that it’s impossible to separate a politician from their politics. What if people said that about Christians? What if we wore our faith so transparently that every breath we make and every action we take bespeaks Jesus, the Son of God, whom the powers of this world crucified but, in the majesty of God, rose from the dead and redeemed the world? I get the internal resistance. Personally, I don’t like being lumped in with “conversative” or “liberal” categories — no thanks to some of the loudest Christian voices who so quickly line up with divisive, secular causes. I get it. So where’s the Christian voice who humbly asserts faith in another Kingdom, God’s Kingdom, and focuses on healing the common good, not winners and losers in electoral politics? At the end of the conversation with St. George’s Vestry, their initially half-hearted blessing turned into a full-on endorsement. “Do it, Greg,” they said. Honestly, their doubts may have remained. To be even more honest, some of mine do, too. I don’t know if we can heal these pointed divisions and I don’t know if we’ll be able to sanctify the conversation in the eyes of God. But I know someone should, and I believe our faith gives us the tools to do it, and I pray that we have God’s grace to do it well. Born in 1775 and consecrated Assistant Bishop of New York at the age of 36, John Henry Hobart’s life and ministry offers something of a model for our time. Without him, who knows what would have happened to the church he served. What did happen, we know, is quite a remarkable thing. Or is it all that remarkable? 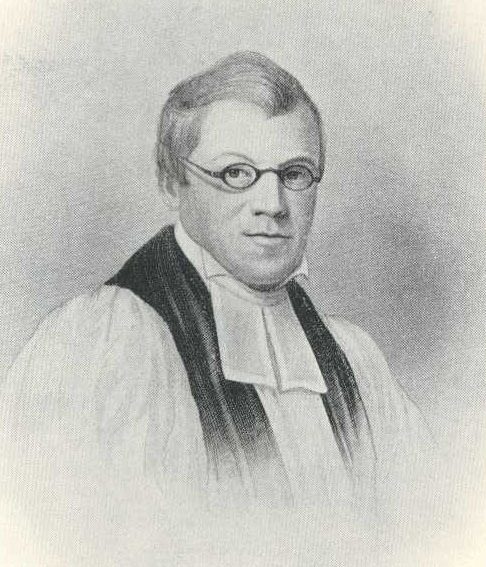 Most reports about Hobart focus on the High Church faction of the Episcopal Church, of which he was a strident spokesperson and advocate; most notably, his conviction in the importance of the apostolic succession and historic episcopate – set against the individualized, evangelical tendency he saw in his own church and fellow countrymen. A man of integrity, charisma and consummate drive, Hobart is also remembered for the things he did – create The General Theological Seminary, revive Geneva, now, Hobart College, build up the clergy in his diocese, plant churches, and write hundreds of meaningful devotional manuals. He was all those things, apparently, and he did all those things, and he happened to be a leader in the Episcopal Church. 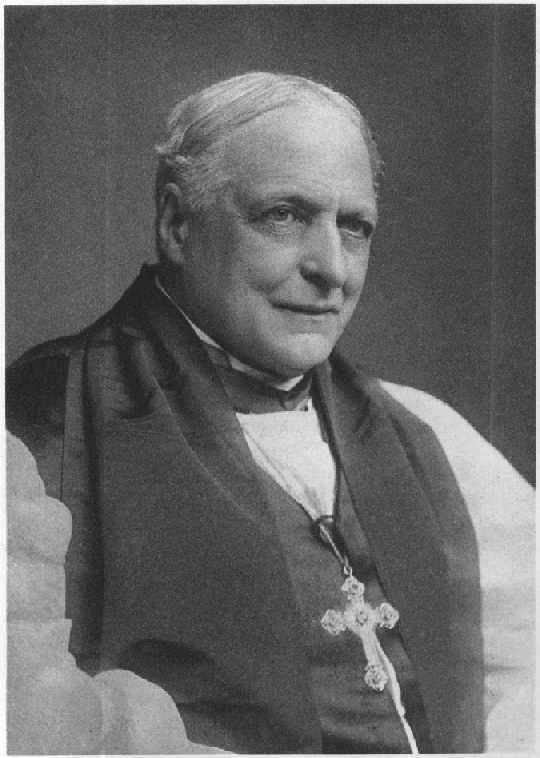 But his vision goes far beyond the Episcopal Church, far beyond the nineteenth century, far beyond his time, and offers models for our own. The world into which he was born was a world of dramatic, profound and, for some, sudden change. Only one year after Hobart’s birth, the American colonies declared their independence from the mother country, leaving what was the Church of England on American soil in a serious quandary and search for a reason to exist. Some sided with England, and fled. Others argued for revising their way of being church while staying true to their tradition. We know what happened in the Revolution and we know what happened to that church, now called the Episcopal Church. We know how this new nation established a Constitution and this new church established an American Book of Common Prayer, and we know that these new entities found their way forward, step by step, in the later decades of the eighteenth century. But what we forget is the steady, dark cloud of fear and anxiety that surrounds any change, no less significant political and cultural change. We forget the way, I’m sure, many remembered the good ole’ days, even though those days weren’t so good and weren’t coming back. We seem to have forgotten that change doesn’t happen overnight, and history isn’t always linear, and even when people are on board with the idea of revision they don’t always act nicely. We fail to remember that having your world changed right under your feet leads inevitably to anxiety and fear; most people either shut down or act out. And even with great visionaries in the decades immediately following the American Revolution – leaders in the Episcopal Church such as Samuel Seabury and William White – ordinary folks and everyday congregations were left in stasis, extended paralysis. Enter John Henry Hobart. I’m sure he heard from countless members of his grandparents’ and parents’ generations all about the good ole’ days, but he never experienced that culture and he knew it wasn’t returning. He also knew that the changed political and cultural landscape (even though he disagreed with some of it) meant that his church, which was the very definition of the establishment, was going to die unless it stopped doing two things and started doing two others. First, stop denying the change and, two, stop looking at other churches (the rapidly growing firebrand Methodists, for instance, or the more culturally nimble Congregationalists) as if they had a better answer. And they needed to start, for one, accepting the change (something his mentor William White established) and, for another, mining their own ‘Anglican’ tradition for ways to be true to their story and authentic in their environment. What historian Robert Bruce Mullin has coined as the “Hobartian Synthesis” is precisely this – a compelling vision that isn’t just about getting over denial and beginning to accept but, rather, a new way forward that is, at once, entirely rooted in their story, the story of God in Christ acting through their tradition. That’s our moment today, I believe. I believe it because I’m living it, and I feel it profoundly most days of my own ministry. I was born in 1975 – long after the glory days of the post-war years, long after the Baby Boom ended, long after the mainline Protestant establishment realized it was on the decline, long after social and cultural and political shifts had fundamentally changed our country and world. I never knew a world in which every mother stayed home all day, although I’m grateful my own mother did. I never knew a world in which neighborhoods were all one color or race or ethnicity. I never knew a world in which prayer was legitimate in public schools, nor did I know a world in which Sundays were set aside, solely, for Christians to go to church. I never knew that world, and yet I was personally drawn to church – my neighborhood’s classic Old First Church. Unfortunately, that church was in deep paralysis during my childhood years. They fretted about the changing neighborhood, about white families moving out to the suburbs and “other families” moving in. They remembered with fondness their church bowling league, and twittled their thumbs about numbers and a huge physical plant. They told their story as one of bewilderment and loss, and I was growing up there, growing up in a church that was dying, and knew it. What I learned in those years has become, in these, a priceless gift. I learned to love Jesus, not the church. I learned to become rooted in God, not this ever-shifting world. I learned that a culture which supports church-going isn’t necessarily a culture that is Christian, faithful in the ways Jesus preached. Since my church also felt like it didn’t have what other, more ‘hip’ Christian groups had, I was dragged to more 80’s Christian rock concerts and evangelical “Jesus-be-my-boyfriend” rallies than I care to recount. And I wasn’t fed by emotional, charismatic Christianity; it seemed as shifty and unstable as anything else. So I also learned that the subtlety and majesty and accessibility of what has become known as mainline Christianity is a wonderful thing, for it lets people go in and go out, it creates space for diversity (at its best), it’s built to change (at its best), it doesn’t force God upon anyone, and it’s solid, staid, beautiful. I also learned that most people who have remained in mainline congregations have a lot of depth to their life and faith. Even though they were never trained to be evangelical, they’re unashamed of talking about struggles and joys, and they’re not afraid to mention God or Jesus. I learned that we have a rich tradition, and we don’t need a complete overhaul – we only need a new spirit. I suppose, for starters, to believe that you also have to believe that God in Christ is acting in the world today, and that things of deep meaning are also things of constant revision and adaptation. (Those are pretty big “starters”, and maybe you don’t agree. You’d better stop reading, then.) That’s what it means to be traditional. From its Latin root, tradition implies handing down, passing on. Things that are of the tradition are things that speak through the ages, and anything that’s powerful enough to be passed down from generation to generation is going to be expanded or, at least, have its original packaging altered. We know, for instance, that “all men are created equal” in our political discourse has been expanded, revised, and changed. I, for one, am not willing to go back to its original packaging just because it was, well, original. So is John Henry Hobart’s work all that remarkable? No. Not at all, in fact. And, moreover, it can be replicated by women and men today, in this time of significant cultural change. Provided that there are people of faith who are unafraid of making a choice between being culturally acceptable or being faithful to Christ. Provided that there are people who don’t care to “see and be seen” in a pew but, rather, be transformed by God. Provided that there are people who know or want to know the power of the Holy Spirit, not the invitation of social convention. Provided that there are people who will root themselves in Christ, and his story – which is a story about death, first, then resurrection. Provided that we as the institution called “church” begin to deepen our conversation and formation, and seek to become what we receive — the Body of Christ in this world. You bet we’ll grow, provided we make that one, simple turn.